Sign-up and receive Property Email Alerts of Commercial New Developments in Parktown North, Rosebank. High rise development comprising of 2 towers with 9 floors and a hotel joining the 2 blocks, Floor plate sizes approx 1400m2 with a ground terrace at the rear of the building. 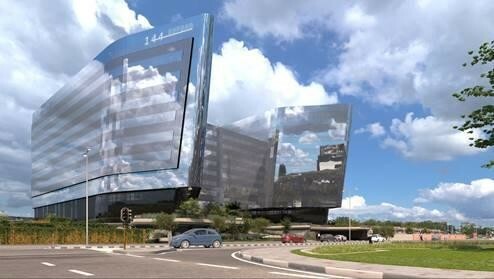 The propery will have a 4 star green rating and be an iconic 'Gateway' to Rosebank.